Randy Paskal joined Moviola in 1986 with a BS from Boston University from the College of Communication. He was also a past Chapter Chair of Young Presidents Organization (YPO). 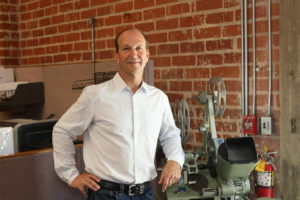 While at Moviola he successfully created the business road map, moving from film to video and now to digital workflows. This included opening the Moviola Education Center with its focus concentrating on training and updating the skills of all types of filmmakers. Mr. Paskal has over 30 years experience in the motion picture and television industry, leading Moviola’s ventures in real estate, industry equipment & supplies rentals and services, sales and training.